Following the cancellation of the last and final Test due to the terrorist attacks on two mosques in Christchurch, the Bangladesh national cricket team will return home from New Zealand on Saturday night. The Tigers will leave Christchurch on a Singapore Airlines flight around 12 noon (local time) and are expected to arrive at Hazrat Shahjalal International Airport here around 10:45pm (BST), said Team Manager Khaled Masud Pilot from Christchurch, reports UNB. The Bangladesh team initially faced some problems to get air tickets for all the members for a single flight, but it was resolved later and the cricketers are set to return home together. Mass shootings at two mosques full of worshippers attending Friday prayers killed 49 people, including three Bangladeshis, in Christchurch. Authorities charged one person, detained three others and defused explosive devices in what appeared to be a carefully planned racist attack. 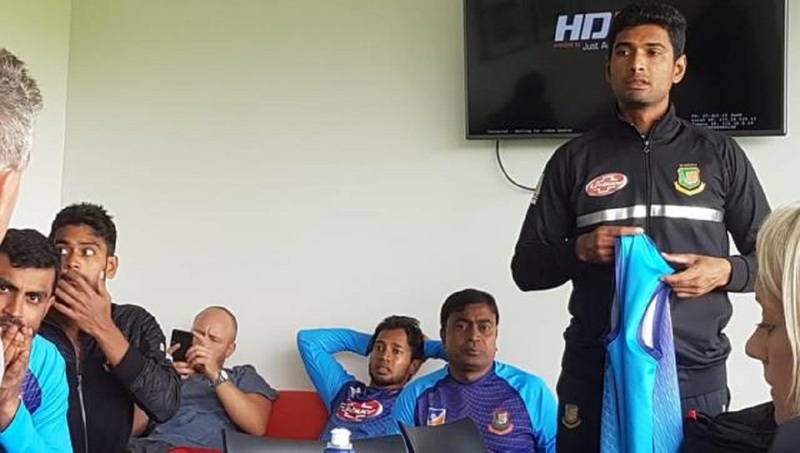 Players and members of the coaching staff of the Bangladesh team were on a bus and approaching the Masjid Al Noor in Hagley Park when the shooting broke out. They narrowly escaped the shooting as they were just 50 yards away from the spot. The Bangladesh team members were extremely shocked after the incident.